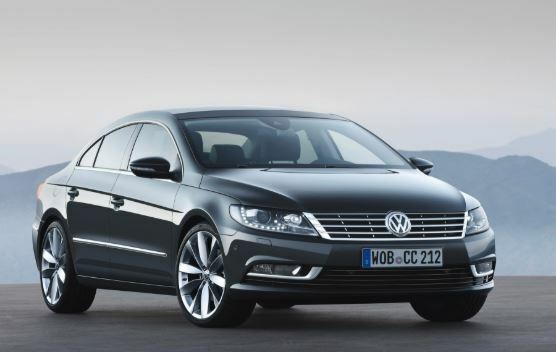 Volkswagen CC is a car designed and engineered to combine the dynamics of a sports car with the comfort of a premium sedan. At the time of its appearance, it was the most stylish model of the entire line of cars of the German company. The first thing that undoubtedly touches the updated CC is the exterior design of the body. The car in the photo looks bright and stylish, and having met the Volkswagen Passat CC in 2013-2014 on the street, you involuntarily spend it with a look. Against the background of a direct relative of the Volkswagen Passat B7 sedan with its classic and even slightly boring image, the Volkswagen Passat CC looks like a bright flash, causing adrenaline rush. The body profile, on the one hand, demonstrates loyalty to the driver and passengers – large wheelbase sizes and comfortable doorways, and on the other hand, it aims at minimal aerodynamic drag and high speed characteristics – the ideal roof dome with lowered struts, powerfully inflated wheel arches and upper shoulder area of ​​the body. Do not forget about the sporty image of the sedan coupe – side doors without frames for windows, compact designer rear mirrors, low-profile tires 235 / 45R17 or 235/40 R18 on stylish alloy wheels 17-18 size. The second is what will please the updated Volkswagen Passat CC B7 with high-quality interior and premium finishing materials. Getting into the salon of a German coupe sedan you catch yourself thinking that owners of cars of a higher class can envy such an interior. Convenient multi-functional steering wheel, ideal driver and front passenger seats with bright lateral support for the hips and back, as well as dense padding. The range of adjustments to the steering column and driver’s seat will allow you to easily find the optimal driving position with the driver with an increase of even more than 190 cm. The ideally correct instrument panel with two large dials of the tachometer and speedometer is complemented by a color screen of the multifunctional on-board computer. The devices provide the driver with a full amount of information, and everything else looks stylish and bright. The design of the center console, the placement of controls, the tactile perception of interior materials, buttons and switches … in a word, everything in German is scrupulous, pedantic and high-quality, as in all VW, but a little better. The back row is hospitable only for two adult passengers, so ordering a three-seater sofa as an option just does not make sense. In the center it is convenient to sit only for a child of school age. The luggage compartment will allow to load 532 liters of cargo. As a basic equipment, the new Volkswagen Passat CC implies fabric upholstery, Titanium Silver decorative inserts on the dashboard, center console and door cards, electrical adjustment of the lumbar support for the driver’s seat, mechanical adjustment of the front seats with microlift, climate control, electric handbrake with the Auto function Hold and assistant at the start on the rise, proprietary audio system RCD 310 with 8 speakers (CD and MP3, AUX), bi-xenon headlights (dipped and main beam), fog light with backlight function gates, electric heated mirrors, a system that monitors the physical condition of the driver, side LED lights, suspension for bad roads, protection of the engine compartment, alloy wheels R17. As an option for traditional German cars, a wide range of options is offered: leather upholstery (Nappa leather or Alcantara with Vienna leather), sports front seats with electric adjustment in 12 directions, active air conditioning and massage (driver’s seat), panoramic glass roof, interior lighting, various options for decorative inserts, advanced multimedia system RCD 510 with a color touch screen (navigation, rear-view camera Rear Assist, telephone control), speakers with 10 di names – Volkswagen Sound (350 W) or Dynaudio (600 W), Lane Assist, Side Assist, Park Pilot and Park Assist systems, a huge selection of R17-R18 alloy wheels. To drive a stylish Volkswagen Passat CC is a real pleasure, the car perfectly listens to the steering wheel, rides like a rail on high-speed turns and on the line, the suspension is noble and comfort, the choice of engines will allow you to choose the most acceptable variant from an economical diesel engine to a powerful gasoline engine that can make your heart beat , quickly. 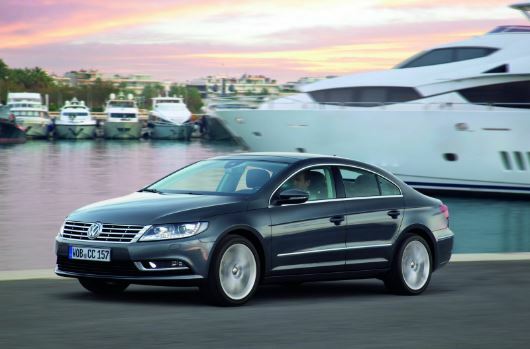 So the Volkswagen Passat CC is the best of the Passat family … definitely. By the way, remember that used cars, such as the Passat CC, which due to environmental standards can no longer be used in Germany, have been successfully exported to Africa for many years. German cars known for their quality are especially in demand in Ghana – Audi, BMW, Mercedes, Opel, Volkswagen. A great variety of cars of different brands, models, years of manufacture and modifications are presented on the secondary market. But keep in mind that when choosing a used car, the buyer may run into an unsuccessful or very expensive equipment. In order to avoid unwanted surprises and not to buy a cat in a bag, we recommend you consult with the managers of the company AuctionExport before buying a car. The consultant will help with the choice of the vehicle and will offer the most convenient, fast and low-cost delivery methods.